First time playing in Asia! 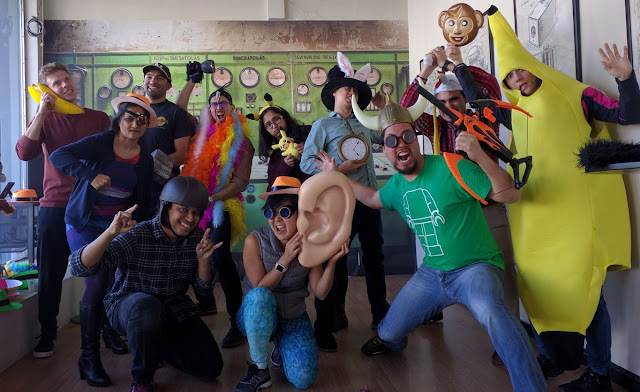 The hardest part about doing an escape room is getting to the business in the first place. This is true in the United States, but even more so when you are a tourist in a foreign country where you can't speak the language. In this case Seoul, South Korea. 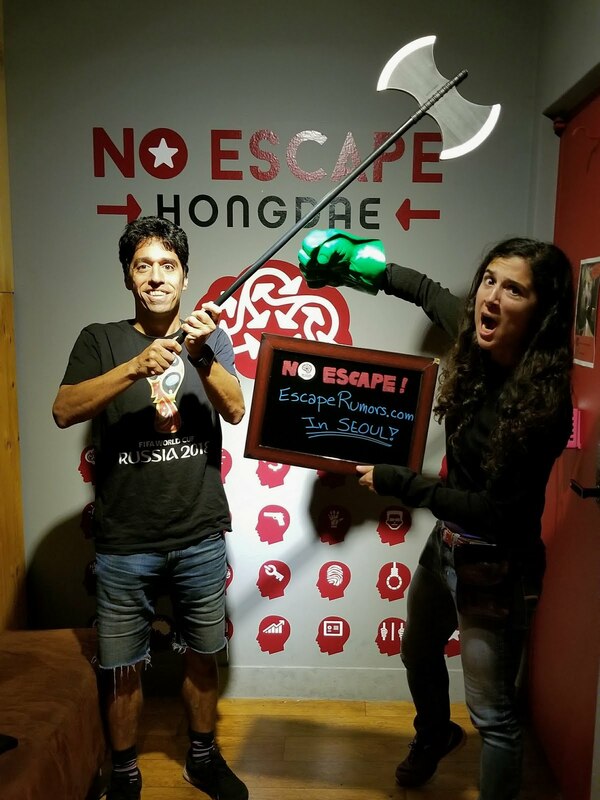 We proved our worth when we spotted the sign for No Escape on the second floor in a side alley of the bustling Hongdae neighborhood. A few pro tips for anyone who wants to follow our steps: rent a SIM card or Wi-Fi egg at the airport or download an offline map of the city using the maps.me app (other map providers don't allow offline mode for Korea). Here's an image of the sign, so you know what to look out for. As a bonus, you should try to memorize the main vowels and consonants of Hangul (Korean alphabet). It's not required, but it helps to get around. And you're an escape room addict, so you love deciphering symbols, don't you ;) It's simple to learn the phonetics without any semantic knowledge. We recommend trying out the Word Fireworks app, which gamifies the task. Or here's a simple table that lays out the letters into a Periodic Table of Hangul. Just focussing on the left and right columns should get you most of the way there (it's like a periodic table... nobody knows the elements at the bottom... except maybe you... because you're a nerd). 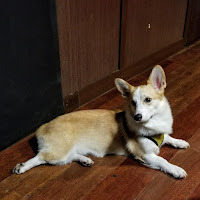 We were greeted by an adorable corgi wagging it's tail in the universal language of puppies. Cuteness overload! The host herself was a friendly and helpful young lady who explained the game to us between answering the phone's incessant ring from escapers asking for hints. We had no problems communicating with her. 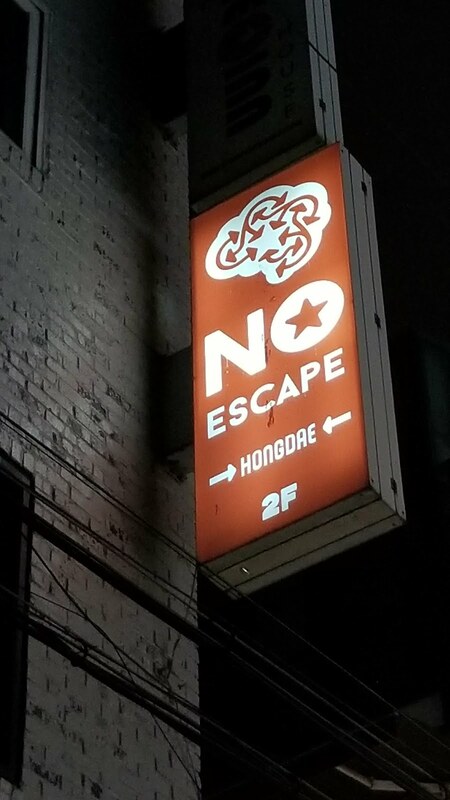 There are 3 rooms at No Escape. The host recommend playing the Victorian Haunt, as it is their easiest room and we had a first timer with us. However, after hearing the screams of current players trapped in there through the walls, we decided better and signed up to play their newest room, Club Kiki, for 23,000 ₩/person (about $20 US). It's a funny theme instead of a spooky one, hurray! Help find her and get the club running, so we can get this party started!" "대망의 클럽 오픈일 저녁, 클럽의 주인공이 사라졌다. 실종된 주인공을 찾아, 클럽을 무사히 오픈시키고 우리의 파티가 시작되도록 하라!" This room can be labeled as 1st generation. There's a lot of padlocks and not much technology nor automation. It's patched together from common items that anyone could obtain and put together, or so it would seem. But really thinking about it, achieving this degree of fun with such minimal means displays a great sense of game design. The set design managed to convey the theme despite being unrefined. That puppy in the lobby stole our hearts... And there were several references to him throughout the room plot. The storyline as a whole was lighthearted and entertaining. We liked getting to learn more about Kiki and her friends as time progressed. We had fun solving the puzzles. The pacing was great, with the first half being mostly serial, and the second half picking up the pace with faster shorter parallel puzzles. The mood was elevated with music and disco lights. We did not manage to escape in time, but the host was generous enough to come in and help unblock us at the end - we had solved the puzzle, we just didn't know where to put the answer, which somehow happened to us many times in this room (we had burned the first of our three allowed hints on a similar problem around minute 20). Then she left the room and gave us the extra time to finish, which took less than 5 minutes. She did not have to do that, but it's most appreciated because the ending is funny and memorable! The interior design concept was fun, but it could have used more polish. Everything was functional (except 1 mag release that was finicky and cost us our second hint at minute 40), but many parts were rough around the edges. Some pieces of the wood construction could give you splinters if you were not careful. 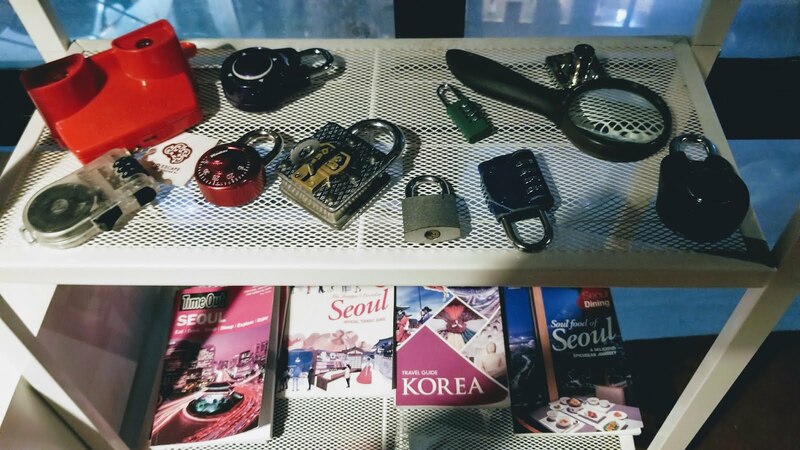 It's hard to find escape rooms in Seoul for English speakers. This one was fun and good for beginners. 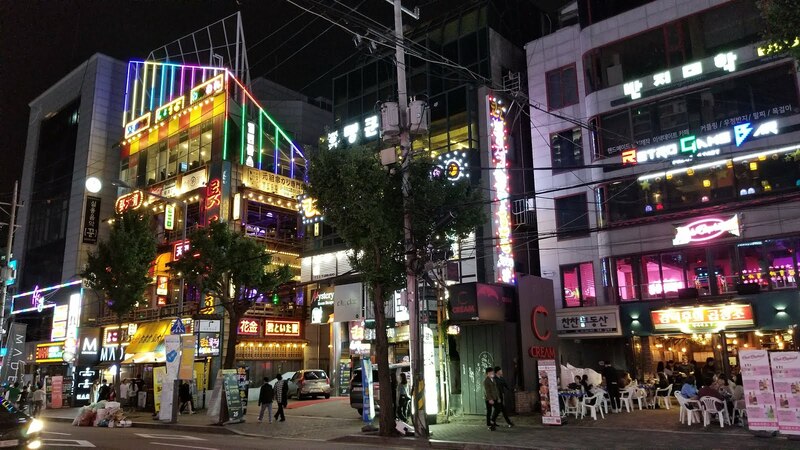 It's worth the detour if you've already spent a few days exploring the city, or if you happen to be in Hongdae, which in itself is worth the detour. Hongdae is a hip and flashy neighborhood where students hang out for the food, the karaoke and the shopping. Escape Room World Record in Moscow, Russia!